The kitchen is the main source of food. Anyone who loves cooking, then a kitchen is heaven for them. Food technology and kitchen trends are a welcoming aspect for people who love food or whoever wants a high revenue career in the food industry. There are some ventures that create hurricanes in the market, while there are some that do not get the chance to build a market either. Food delivery has already made use of technology and applications like Swiggy, Zomato and Foodpanda are the best examples of this successful venture. These applications have made their way among customers that now no one can think of food without them. Let us take a look at the new kitchen trends which will unveil in the coming years. Must be wondering what is food tech? The food industry is the sixth largest growing industry in the world. It has witnessed unparalleled growth in size and revenue in the past five years. The rise of food technology exhibits the massive transformation of the present food industry. With the use of technology, the food industry is estimated for greater growth along with the food service industry. Presently, the food technology is grappling with the online market. Here are some of the trendy kitchen technology that will interest the foodies and food enthusiasts. Another aspect where we need our attention is homegrown food. This year has shown a remarkable increase in house gardens, backyard, IoT grow box from Grow, to the Opcpm’s grow wall. A lot of interesting homegrown systems are visible at CES. With this, we can at least expect food reactors by 2019. With whirlpool’s Yummly 2.0 or Innit SideChef, there is no doubt, we have seen the most intelligent and aware kitchen of all ages. It has undeniably emerged as the focus for huge application builders. 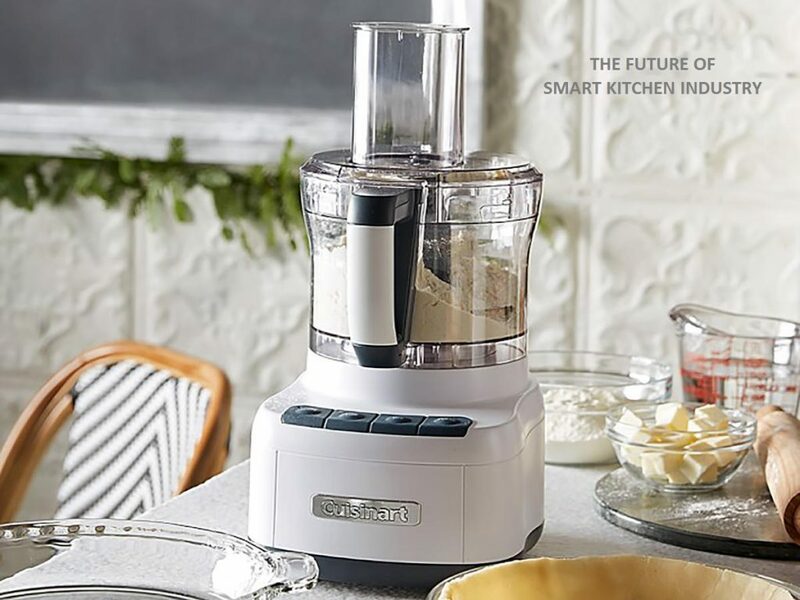 It means, simply moving beyond the usual connectivity scene by connecting the kitchen with cooking, storage, planning, commerce in a holistic manner. With Alexa making news as the smart voice interface, Google has arrived with its ‘Google Home’ and it sports the fruits of the company’s labor. You can literally hear ‘Hey Google’ everywhere in America. This device has particular reference to a kitchen as an onsite demonstration by Innit SideChef. A conscious kitchen is where you know what food is available in the fridge and what is placed on your plate. Few of the technology regarding food are – food image recognition tech, infrared spectrometry, digital noses and water sensors. Many companies cover these trends. As a consequence, you will see sensing kitchen taking place in the homes. Waste of food is an ordeal at every organization, house etc. There are various ways by which these can be minimized. Few startups like Olive, help us track the overall quantity of food we buy. On the other hand, companies like Whirlpool and Samsung propose to discover ways in which fridge can manage the food inventory. Sounds like it’s quite late to think about water in 2018. But, better late than never. We all believe that water is the most valuable resource we have. Hence, its management and usage technology is a necessity. As the tech world has started looking into this matter, we can see the home water management system and Phyn water management system are on the line. Efforts like knowing whether the water is drinkable or not by Lishtot is an example. Smart Kitchen Summit, observed the smartest thing about tech trend for a kitchen. It was the Wireless Power Consortium. It is shown that the kitchen will be cordless. This means small kitchen appliances will have wireless power for functioning. Philips and Haier are already exhibiting demos. On the other hand, there is an infrared power from Wi charge. The concept of this wireless power is there will be an infrared transmitter fixed at the ceiling and that will transmit power to various devices. This is a patent tech and is applicable only on small devices now. But, with the further technology, it is projected to work on all devices. The kitchen is a food lovers paradise. But with all the good cooking taking place, there are a lot of risks involved. Making the kitchen a better and safe place to work on is one of the major concerns. The cooking scenarios need to be taken care of. For this, smart assistants and robotics along with augmented reality are paving the way for the better cooking scenario. Robots range from LG’s Cloi to delivery robots to laundry folding robots. LG’s Cloi has a natural pairing with the kitchen. In addition to this, there are other robots who are only home assistants. With this pace, no wonder one day you can see a robot Chef. Sale devices and markets which are humanless. AI Poly won the show for the best demo at CES. Bodega-on-wheels startup Robomart made people awestruck with its entry. Booze is something no one can ever mess with. Smart Kitchen makers are also not expected to not think about it. Better beer and wine presentation devices must be a development. IoT made entry with a lot of wine shelves. 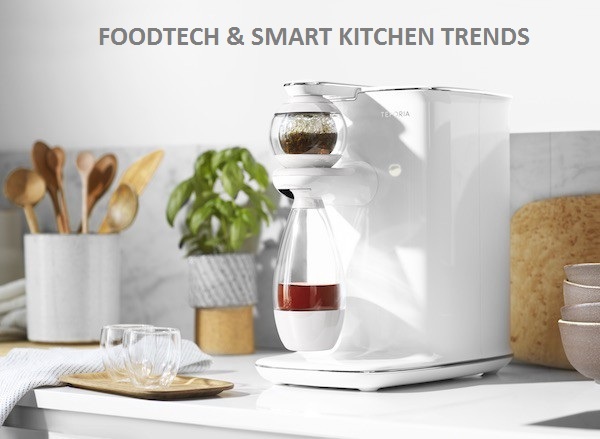 Hope this article was useful for you all to know about the upcoming trends in Food technology and Smart Kitchen. Make sure to keep a check on these tech trends so that you can avail them at the right time.